With New Zealand becoming a distant memory, a new adventure was required! Needing something a little less expensive, a little closer to home but something equally exciting we settled on the NC500. Touted as Scotland’s rival to America’s Route 66, it encompasses 500 miles around the northern reaches of mainland Scotland. With a friend’s wedding in Inverness providing the perfect excuse, we got down to details. Having never really used our own camper for any long periods we decided to go all out and use motorbikes for our next adventure. Yup, the comforts of the camper have been ditched in favour of what could be some pretty miserable riding through Scotland’s finest weather…in October. Hopefully, though the wilds of Scotland will be kind to us (at least in part), letting us take stunning photographs of some pretty epic scenery. We have at least allowed ourselves the luxury of staying in bothies and B&B’s for our trip – saving us from buying a new tent and probably several arguments en-route! Unlike in New Zealand, where I may have gone a little OTT in the planning department, we have only our accommodation booked for each night,. With just a rough route planned, the rest, will hopefully unfold into a fairly awesome adventure. I took the liberty of searching through some of the roads on google street view – and I have to admit, I’m pretty jealous of whoever had the job of driving Google’s car around those roads! Similar in style to some found in New Zealand, the single track roads wind their way past castles, beaches, and tiny settlements as they follow the rugged coastline round the highlands. I like being in control. I enjoyed spending hours planning our previous adventures, logging distances and activities into a meticulously planned spreadsheet. Not planning the NC500 in the same way stresses me out slightly! What if we miss the “best” views? What if we ride by a wee tavern or cafe famous for some local delicacy? Whilst I’m apprehensive about riding on the fly, so to speak, I’m eager to try this “better” way of travelling. Besides, as long as I get to make the decisions on “winging it” I’m sure we’ll be fine! 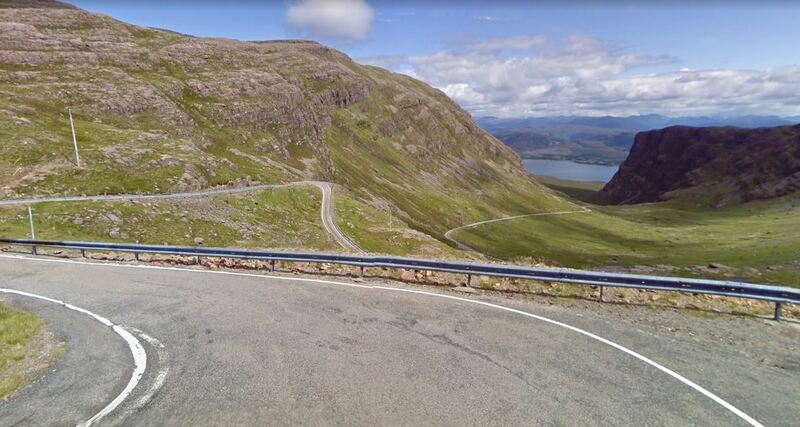 View of the Road to Applecross from Google Street View’s Car. Interested in learning to ride? If you are in Leicestershire or surrounds, we’d suggest learning with Loughborough School of Motoring. Excellent tuition, with friendly instructors and an excellent pass rate. You can also find them on Facebook here. You can follow our new adventure by subscribing to our blog, or following us on Facebook or twitter.